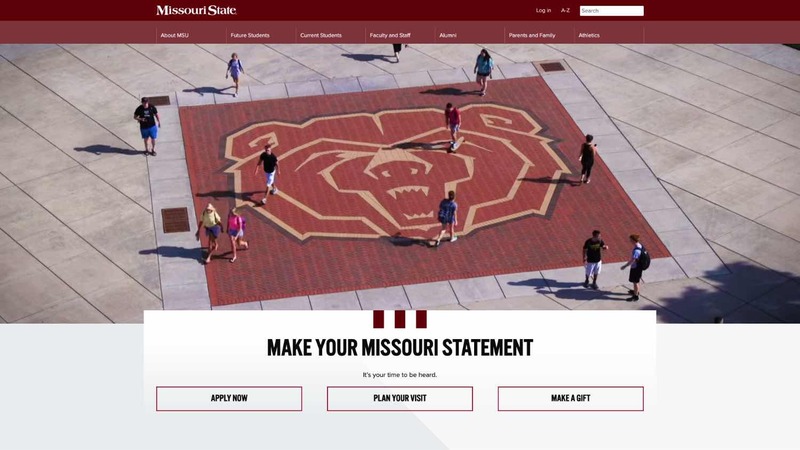 We’re excited to announce that Missouri State University websites will soon have a fresh look. The first change comes next week on the homepage. 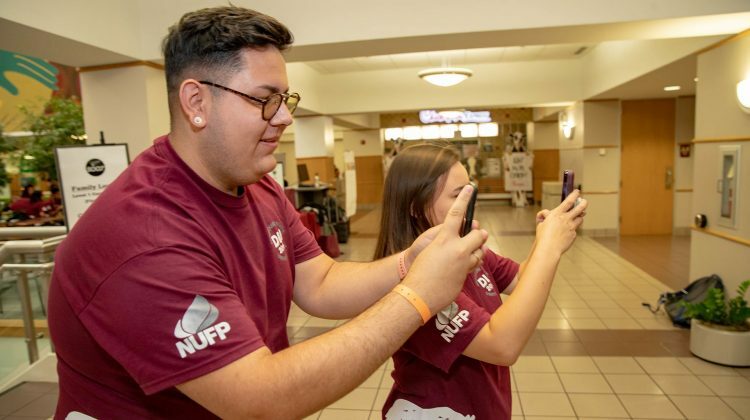 Our goal: to create an action-oriented experience for future Bears. The new homepage will also showcase bold video, imagery and content elements. 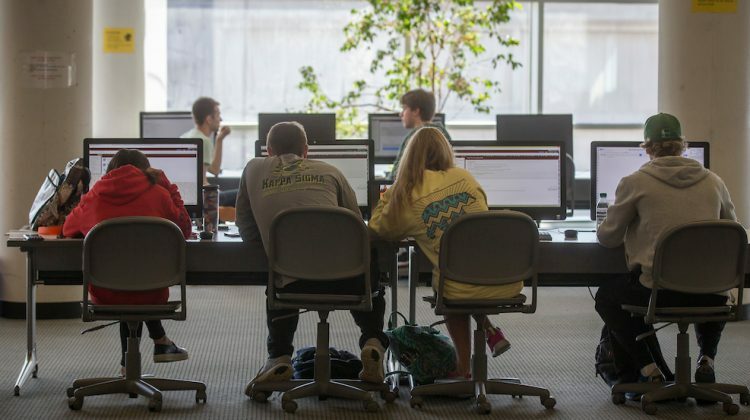 All Missouri State University websites hosted in Web Press are moving to new templates. In late April, we’ll start the transition with the release of a new homepage. A sneak-peak of the new homepage. The modern look includes an expansive “hero” video area. The new homepage on mobile view. An admissions-focused layout. 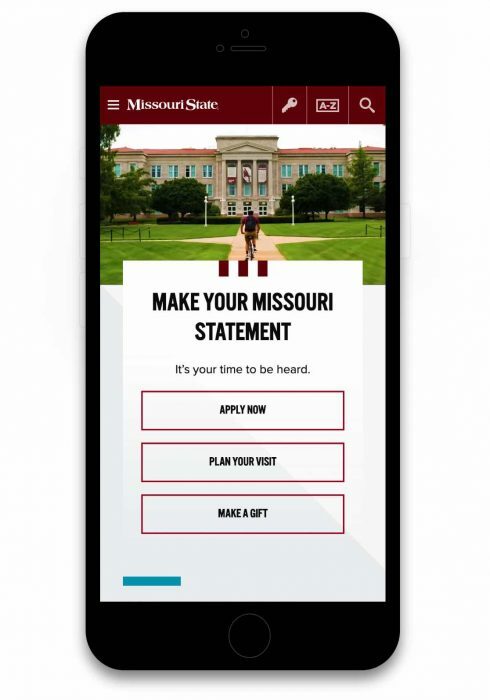 We’ve made it easier to apply, visit and donate to Missouri State. 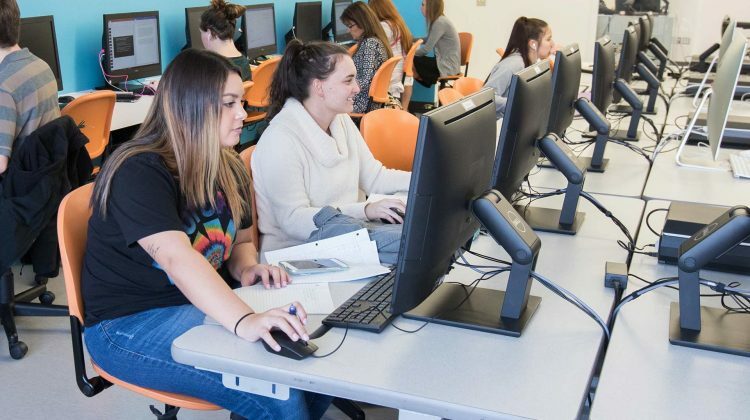 A carousel of stories, centered around student success. Upcoming events in an easy-to-read format, with quick links to the full calendar. Bold, impactful stats that detail university accomplishments. The new templates have other options for design layouts, too. All MSU Web Press sites will switch to the new templates, and we will release a schedule for this move later in the year. Shed labels. Stand up to racism and bias. Act with moral courage. Empower yourself at the Collaborative Diversity Conference. 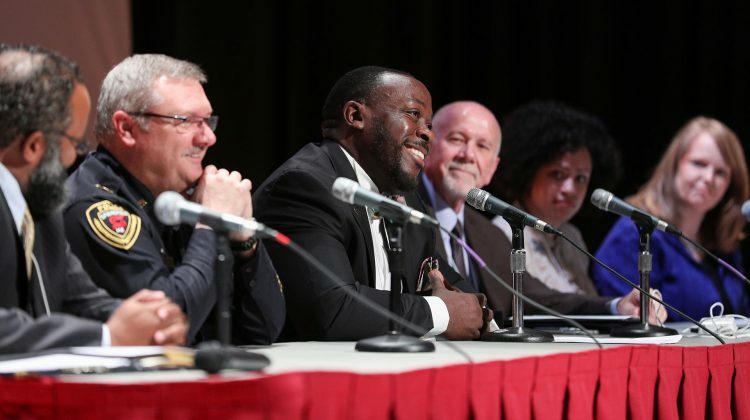 The event runs April 24-26 at Plaster Student Union on the Missouri State University campus. MSU employees can attend for free April 25-26. Register through My Learning Connection via My Missouri State. You’ll earn professional development credit. You can also attend a pre-conference session on April 24 for $150. Students lead the way on April 27. The MoState Student Summit is a student-only conference and part of the Collaborative Diversity Conference. Workshops for MSU students, led by other MSU students. Where: Plaster Student Union, Missouri State University. Who: Diversity experts, including plenary speaker Irshad Manji. 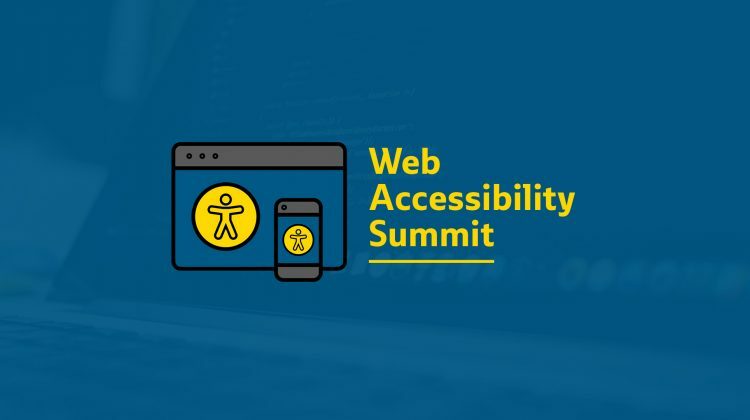 Review the conference schedule for a full list of speakers and sessions. 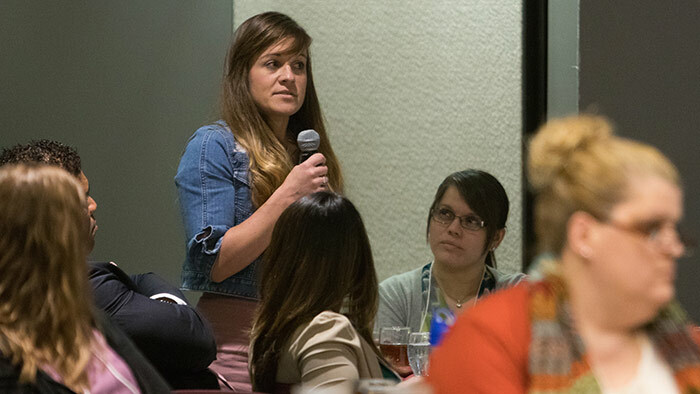 If you attend the Collaborative Diversity Conference, we want to hear about your experience! Join the online conversation during the event. Post about it on Facebook, Twitter or Instagram and tag your posts with the official hashtag: #Diversity19. Review our steps for turning a link into a tweet. 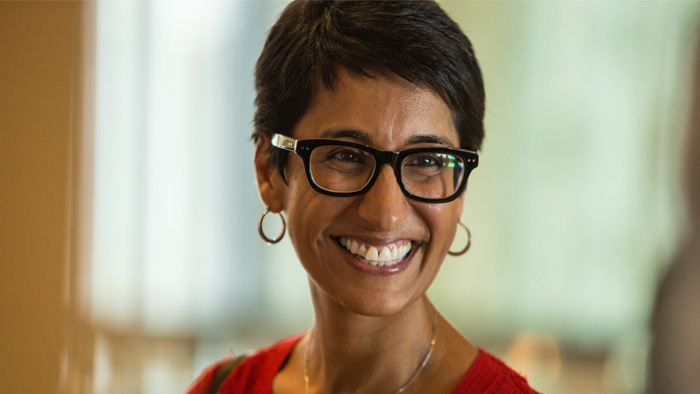 Text: Professor Irshad Manji is an author, educator and advocate for the rights of women and minorities. She’s the founder of the award-winning Moral Courage Project, based at the University of Southern California. Text: Act with moral courage and empower yourself at the Collaborative Diversity Conference.